If I am a member and end up being transported by a ground ambulance or another air ambulance service, who is responsible for the bill? If an AirMedCare Network Provider does not transport you, you will be responsible for payment of the bill. Our membership program only covers transports provided by our affiliates. Is there a limit to the number of transports a member can have in a year? There is no limit to the number of transports a member may take in a year. Each transport is handled the same way and must be a life-or-limb threatening emergency as deemed by AMCN Provider attending medical professionals. Can I cover all of my family on the membership? With an AirMedCare Network household membership, any person or persons who reside under one (residential) roof can be covered. In the event we have a member who lives in a duplex or apartment complex, we designate the primary member’s residence/address, and that is considered the “one roof”. Undergraduate college students can be covered under their parent’s membership as well as anyone previously residing in the household who is then moved to a permanent care facility. How did the AirMedCare Network membership program get started? Our Network of Providers were among the first air ambulance services to offer a membership program, similar to the ground ambulance and rural fire department programs throughout the United States. The founders knew that for the service to survive in a rural area, they would need other sources of funding besides the traditional fee-for-service billing. Additionally, the founders knew that the service would be costly, and therefore offered a membership program to assist families with the cost and alleviate the financial burden associated. I never heard about the price increase, when did this happen? The price increase went into effect on June 1, 2018. This was communicated out via our May e-newsletter, our Facebook page and was also included in the mail and e-mail sent to customers up for renewal at that time. In the last five years, we’ve doubled our locations to protect our members in more places—now over 320 locations across 38 states. To continue offering the highest quality of service and protection from out-of-pocket expenses, we needed to increase our fees. I heard that you have a discounted membership for seniors. How old do I need to be in order to qualify? To ensure coverage remains affordable, we have created a senior pricing option for our primary and/or secondary members who are at least 60 years old. What is a primary or secondary member? The primary member is the one in whose name the account is opened. For current member households, we are automatically assigning the person closest in age to the primary member as the secondary member. For new members enrolling online, you can designate the secondary member when adding additional members living in your home to your membership. I signed up for a membership last year and it’s time for me to renew. I’m 54 years old, but my husband is 60 years old. Do we qualify for the senior discount? Yes. Your husband can be designated as the secondary member and would qualify your household for our senior pricing option. Please contact our call center to confirm that your husband is listed as the primary or secondary member. If not, they can make this change for you. I currently get a group discount on my membership through my company. Is that still available? Yes. If your company is still participating in the program, you will still receive a group discount on our standard memberships. My account is set to auto-renew. Will you just charge me the new rate or do I have to set up a new automatic withdrawal? The agreement you signed requires you to sign up for a new automatic withdrawal at the new price. Simply sign the new withdrawal agreement on your renewal form and include your form of payment. All automatic withdrawal memberships will stay in effect until January 1st, 2019. What is included in a member’s insurance, other benefits and third party responsibility? These are all potential sources for payment that can be applied to pay for the transport of any patient, including a member patient, by an AirMedCare Network Provider. Accordingly, any type of insurance- health, auto, medical, liability, etc. – that covers ambulance transport services is included. Any benefit- such as another membership that covers medical services, workers’ compensation benefits, etc. – is included. Any third party who is responsible or liable for paying the cost of medical services, such as an at-fault driver of an automobile or the at-fault person’s liability insurance carrier is also included. Medicare is a secondary payor and requires AirMedCare Network Provider to seek payment from third party liability sources before billing Medicare for patient transports. Many commercial health insurance plans also have rules that, in effect, make third party liability payments primary. Members agree that the AirMedCare Network Provider is entitled to any and all payment received from insurance, benefit providers and/or any third party for air medical services provided by the AirMedCare Network Provider. If I have Medicare and a supplemental policy, do I need a membership? The answer varies, depending upon the nature of your transport and your supplemental insurance provider. In many cases, Medicare and the supplemental insurance coverage should pay for the cost of transport if it is medically necessary and if Medicare believes you were taken to the closest appropriate hospital. However, AMCN has seen cases where the supplemental insurance provider does not cover a remaining balance after Medicare has paid its portion. Many seniors have said they want a membership even if they have complete coverage, in the event that their insurance coverage changes in the future or if the claim is denied. Often time’s supplemental insurance won’t pay if your primary insurance denies. In those circumstances, membership is very beneficial. No. Some state laws prohibit Medicaid beneficiaries from being offered membership or accepted into membership programs. As part of our application process, members certify to AirMedCare Network that they are not Medicaid beneficiaries, with AirMedCare Network providers accepting Medicaid as full payment for services rendered. My insurance company says they will cover 100% so why do I need this membership? Most insurance companies will pay 100% of what they deem an allowable amount for air ambulance or emergent ground, which does not necessarily mean that the total cost of the transport will be covered. For example, even after insurance pays, you may have a remaining balance due to co-pay, deductible, co-insurance, or because your insurance’s allowable amount does not cover the total charges. Additionally, people frequently change insurance companies and plan designs. You may want to check with your individual insurance company to find out exactly how much they will cover in the case of an AMCN transport. Lastly, your insurance may decide that the flight does not fit a specific parameter covered under your policy and deny payment. Membership will cover the cost of the flight for you, even if your insurance does not. Does my primary insurance cover the cost of an AMCN provider transport? If so, how much? This answer varies, with each insurance company offering different plans and coverage. It is up to your individual insurance company as to whether they will cover the cost of a transport, as well as to the amount of economic burden placed on the patent via a co-pay or deductible. We recommend that you contact your insurance company directly to obtain detailed coverage information. Is an AirMedCare Network membership considered insurance? No, although some states may regulate AirMedCare Network membership like insurance. AirMedCare Network is not an insurance company. An AirMedCare Network membership is not an insurance policy and cannot be considered as secondary insurance coverage or as supplemental coverage to any insurance policy. Membership provides prepaid protection against covered AirMedCare Network provider transportation costs that exceed a member’s health insurance or medical benefits. Can other unaffiliated air medical providers honor AirMedCare Network memberships? For other unaffiliated air medical providers, AMCN does not believe so. Federal law prohibits the routine waiver of co-pays for services covered by Medicare or Medicaid. However, through an ambulance membership program, membership fees are collected in lieu of the collection of co-pays (“co-pays” is used to refer to all types of patient cost-sharing amounts, including co-payments and deductibles). OIG guidance provides that where membership fees collected from members (or members who are Medicare beneficiaries) “reasonably approximate” the amounts that these individuals would expect to spend for cost-sharing amounts over the period covered by the membership agreement, there is, essentially., no impermissible waiver of co-pays. Therefore, where a specific air ambulance supplier (such as AirMedCare Network) operates a membership program and does not bill its members for co-pays associated with its air transport services, this would not be considered to be a prohibited waiver of the co-pays (i.e., the billing and collection of the membership fee would negate an obligation of the specific air ambulance supplier to bill the patient for the co-pay). This analysis does not hold true, however, if a separate, unaffiliated supplier of air transport services (such as an unaffiliated competitor to AirMedCare Network) waives a co-pay for services provided to an AirMedCare Network member. In this case the competitor has not collected any membership fees from the AirMedCare Network member. Will AirMedCare Network honor other unaffiliated air medical provider memberships? No, for the reasons described above. While AirMedCare Network appreciates operating under a team-oriented approach to provide the highest levels of patient care and service in the regions it serves, it is strongly committed to complying with all applicable healthcare regulatory guidelines, as well as all rules and regulations governing its participation in both Medicare and state Medicaid programs, and therefore cannot honor other unaffiliated air medical provider memberships. Does AirMedCare Network allow for “bedside” memberships? No. In recent years, questions have arisen regarding whether so-called “bedside” memberships can be offered. This occurs when a patient in a hospital or other facility is offered to sign-up for a membership contemporaneously with an air transport. Under the Anti-Kickback Statute, such an arrangement would be considered remuneration because patient transportation is imminent and AMCN in essence would be discounting the patient obligation. Thus, if bedside memberships were permitted, membership fees collected from members would no longer “reasonably approximate” the amounts that these individuals would expect to spend for cost-sharing amounts over the period covered by the membership agreement. Is there a special discount for EMS/Fire/Police people? No. AirMedCare Network Providers are strongly committed to complying with all applicable healthcare regulatory guidelines, as well as all rules and regulations governing its participation in both Medicare and state Medicaid programs. 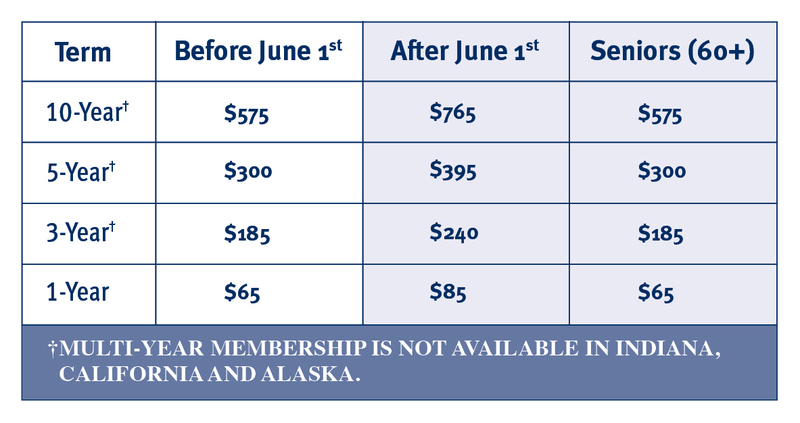 In order to avoid even the appearance of non-compliance with applicable health care regulatory guidelines, AirMedCare Network does not offer discounted memberships to people solely because they are healthcare or emergency personnel, given that such special discounts to healthcare or emergency personnel might be viewed as an attempt to influence referrals. Does AirMedCare Network work with local ambulances? Yes. AirMedCare Network Providers work very closely with ground EMS agencies. These agencies request AirMedCare Network to transport their patients when medically necessary. AirMedCare Network Providers also prepares appropriate training and education for ground EMS agencies. What role does AirMedCare Network Providers play in the emergency services community? Our crew work closely with ground ambulance services and other EMS agencies in our service area. We recognize that good patient care requires a team effort of everyone involved-from first responders and law enforcement officials to ground ambulance and hospital personnel. We all play separate, but very important roles, in getting the patient to the appropriate medical care. We do not want to replace any emergency service already in place in a community. Our role is to be a resource they can call on when a higher level of care or special mode of transportation is needed. Are there other reasons why an AirMedCare Network air ambulance might not be able to fly me? The primary determinate of whether to accept a flight is always the safety of the patient and our medical flight crews. Federal Aviation Administration restrictions prohibit AirMedCare Network provider from transporting patients under certain conditions, such as, but not limited to, flying in inclement weather, equipment manufacturer limitations, maintenance requirements, age or size. Will an AMCN provider always be available if I need one? There may be times when the AMCN provider aircraft in your area is committed to assisting another patient transport or is out of service for maintenance or inclement weather. In those instances, we may be able to call one of our other AirMedCare Network providers from an adjoining service area. In some cases, however, you may need to be transported by a ground ambulance or another air ambulance service that is not a participating provider in the AirMedCare Network. It is important that you get to the medical care you need as quickly as possible, no matter the mode of transportation, so you will have the best chances for survival and degree of recovery. Who decides where to fly the patients? When an air ambulance provider is called, time is of the essence. Patients in life threatening situations often need specialty centers to provide the interventions needed. AirMedCare Network Providers will take a patient to the closest appropriate medical facility as determined by physicians or EMS personnel. Whenever possible, physicians or EMS personnel consult with the patient or the patient’s families as these decisions are being made. Does a membership ensure that AirMedCare Network will fly me, no matter what type of medical care I need? Air ambulances are valuable and scarce resources that should be reserved for those times when a patient is facing a life-or-limb threatening emergency and it is in their best interest to get to medical care in a timely fashion. AirMedCare Network Providers will not transport patients by air if air transportation is not believed to be appropriate. Who determines if and when I will be flown? If your medical emergency meets certain criteria, such as a heart attack, stroke or a traumatic injury and the 911 dispatcher determines you would benefit from emergent ground or air medical transport, they may dispatch an air ambulance to your emergency, as well as a ground ambulance. If you require an emergent medical transport from one Hospital to another hospital, those transfers are ordered by physicians. In the event that the AirMedCare Network Operations Center receive a call for emergency help from an individual or source other than a healthcare or emergency services agency, AirMedCare Network Providers communication specialists will identify and contact the ground EMS service in the patient’s community and ask them to respond to the scene. If they determine air medical transport is needed, they will dispatch one of our air ambulance providers. How would emergency personnel know that I am an AirMedCare Network member? When calling emergency personnel, you may make the 911/ground ambulance service aware that you are an AirMedCare Network members so that in the event they plan to request an air ambulance, they know your preference is for an AirMedCare Network provider. As a member of the AirMedCare Network, you will receive with your membership an identification card and stickers for your vehicle. All of these items allow emergency personnel to identify that you are an AirMedCare Network member. Regardless of whether emergency personnel know that you’re an AirMedCare Network member, we may still be called on to transport you. As earlier indicated, most of our transports are non-member transports. If I have a medical emergency, should I call the AirMedCare Network Operations Center emergency line or the local 911 service? Call your local 911 service. The 911 dispatchers are trained to get specific information about the medical emergency from the caller and determine what type of medical transportation best fits the situation, so the best option is to always call the local 911 service first. The local service is more familiar with your location, as well as the availability of the local emergency resources. They may have information to aid you that the AirMedCare Network Provider Operations Centers may not be aware of.